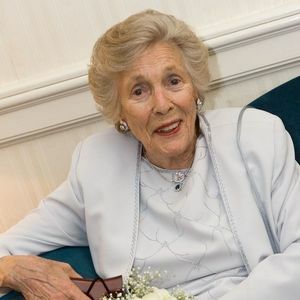 Doris Gahwyler, beloved by family and friends, passed away peacefully Tuesday evening, January 8, 2019 at her home in Darien. She was 94 years old and a town resident for over half a century. Doris was born in Switzerland on May 23rd, 1924 and spent her formative years in the city of Lenzburg and her summers in Thun, Switzerland. She studied in Zurich, became a nurse and met the love of her life, Dr. Max Gahwyler, in the early 1940's. After the Second World War, they married and moved to the United States. They worked together at hospitals in Kansas City, Asheville NC and then New York City. In 1955 when Max started his pharmaceutical career with Pfizer Inc., the couple settled in Darien. Max predeceased Doris in May 2016. Doris was an avid supporter of the arts, with a life-long appreciation for Ballet, Opera and Classical Music. Doris also had a great love for animals, managing a household filled with horses, dogs, cats, rabbits and sometimes even chickens. Doris had a true passion for helping people unconditionally. To her family and many friends (both local and in Switzerland), she was always ready to lend an ear for stories or a hand for help. She cared deeply for the town of Darien and was actively involved in the community. Doris and Max were great supporters of Ox Ridge Hunt Club, inspiring young and older riders alike and were a part of the faithful glue that held that community of horse enthusiasts together over the decades. Doris was also a volunteer at both The Lighthouse for the Blind in New York and The Waveny Care Center in New Canaan. Doris was a beloved family member, a mentor and friend to so many people, and her passing will be grieved by all who knew her. Her Swiss family will miss her tremendously as will her "adopted" family, the Handlers, who were blessed to have her in their lives since 1969. A Memorial Service will be held at St. Luke's Episcopal Church, 1864 Post Road, Darien on Friday, January. 25 2019 at 11:00 AM. Please make memorial donations to a favorite charity of your choice.